Greetings, and welcome to the All-Purpose Pokémon Topic Version 3! Can't wait until November 18th. The title should really be "A New Dawn"
Sun & Moon are going to be amazing. How do you 'unbuddy' a pokemon in pokemon go? I found how to change your 'buddy' but I don't even want one. First two episodes of Pokemon Generations are out! Whoa, already? I'll have to check these later when I have the time. HQ scans of ghost pokemon plushies! Alright, watched the episodes. Long story short, they're not good. Wow they're not good at all. Animation? It's slow, the action feels off all the time, people just stand around and talk with zero heart and there's a disturbing amount of awkward pauses where there shouldn't be any. Writing? Sure, just two episodes; the first was an alright introduction, but then you make Looker a piece of cardboard that talks in the second. That's it. He's just there to narrate and that's it. People didn't like Looker because he said smart stuff, we like him because he's a total goof. Pacing? Hand in hand with animation. All over the place, goes too fast in places, too slow in others. Nitpick. Pikachu's annoying af squeaking. We get it, it's "realistic". It's also a rat that shoots thunderbolts, that shouldn't ever be in someone's mind. Nowhere close to Origins, much less making any justice to the series, as of now. 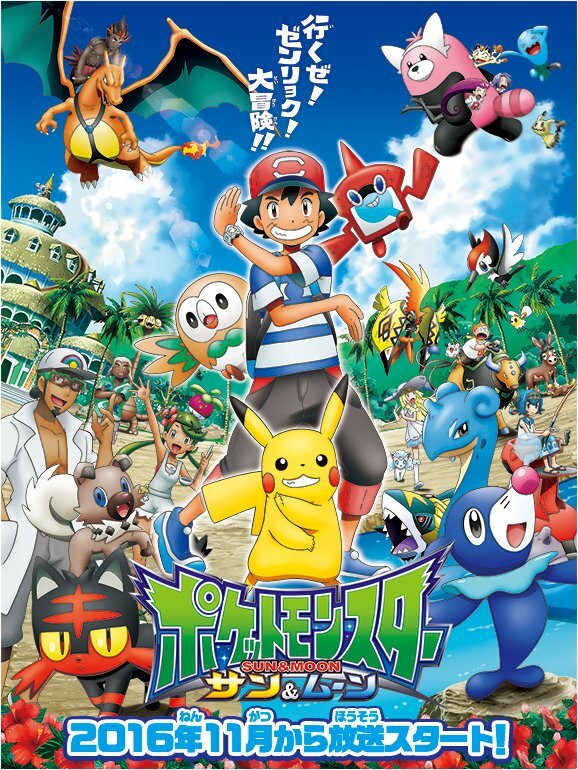 Edit: Just watched and I loved it, other than the voice acting of course but that goes without saying for dubs. Really excited for more of this. I wish it replaced the actual anime and I wish the episode were full-fledged lengths like the anime. Just have one -___- ITS FREE CANDY! How exactly is that answering her question? As of right now I don't believe there is a way to do so. Pokemon Generations is pretty good in my opinion. I enjoyed the first one and wasn't bothered by the animation, I actually kind of liked it. The second one was alright but a little slow like Bifrost said. I am just telling her that you can have a buddy Pokemon you dont even like, because you miss out on free stuff for not using it. I don't you can at the moment but you can switch if you want. And it still doesn't answer her question either way. The post still came off pretty rude and didn't even answer the question as to if she could or not. Also, Thank you so much Paris for posting that. I really need the Chandelure plush. None because I hate the concept. You know, I realize that I don't think anybody's ever explained why they don't like the idea of synchronizing with Pokemon other than just saying "it's dumb". I just personally really don't like the concept. Am I not allowed to dislike something? And nowhere did I say that other people couldn't post about the "Bond Phenomenon" idea, I was just agreeing with Seiki about disliking the concept. I apologize for coming off as rude there. Of course you're allowed to dislike it, I just want to know why people don't seem to like it. Also oddly enough I just realized something, way long ago I made a theory called "Warlord Evolution is a reversed mega evolution" due to similarities between the 2. BUT bond phenomenon also seems to fit the bill as well. Maybe they got inspiration from Nobunaga's Ambition? Or it's a coincidence. 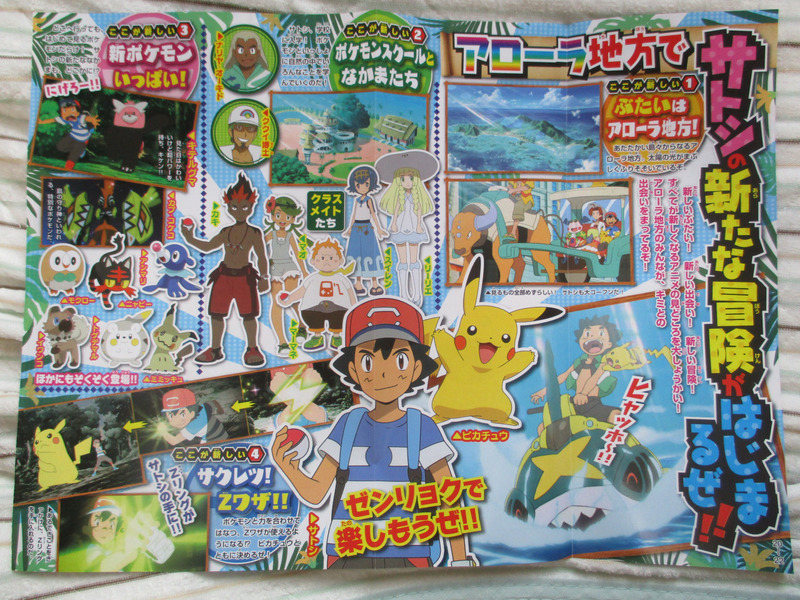 More info on the Sun and Moon anime! TEAM ROCKET HAS A MIMIKYU?! It seems like a lame way to achieve Mega evolution through "The power of friendship!". This basically makes it so rather than using Mega stones, the anime just goes with a canon form of Pokemon Ami, but actually gives it a purpose other than evolving Sylveon. Really, the low amount of effort used in lazily tweaking a few facial features on the Pokemon could be done to give it an actual Mega evolution, or hell an evolution in general. 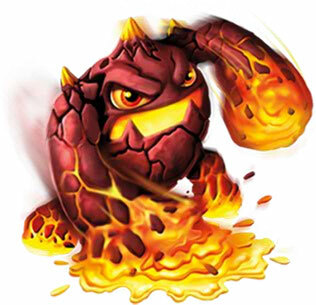 Mega Evolution in itself was explained to involve not only the stones but a deep bond. Synchro just ****s on this concept by saying Megas can basically be achieved without the need of the stones. Before you try to say it isn't like Mega evolution, it kinda is. If you watch the anime and a battle between Alain & Ash it's basically said that while Synchronized, Ash's Greninja is more or less on par with a Mega in terms of power. The method to reach it changes, but the result is the same. On top of that, the fact Ash gets it with Greninja over Pikachu is idiotic as if he would ever have such a bond like that with any Pokemon it would be Pikachu due to how much time they've been together and trained together. This makes it seem like Pikachu is just along for the ride of being the mascot at this point and all the real fighting is done by Ash's new Pokemon of the region that'll only get ditched when the Ash finishes with the region; only further making it stupid how much emphasis was put on this bond as Ash is going to ditch Greninja and we'll never see him again. This post. I can't even begin to explain how true this is. Okay, disregard what I said here earlier about the anime, because I've actually got a theory about the Ultra Beasts and the game's plot. The Ultra Beasts were created by the Aether Foundation by combining the DNA of humans and Pokemon, of which every Ultra Beast had a different patron for the human DNA (which is why UB-01 looks like Lillie and UB-02 Beauty looks like Lusamine). Their first attempt at creating an Ultra Beast was with Type: Null, which turned out as a full-fledged Pokemon instead, and a destructive one at that. Gladion captured Type: Null before leaving the Aether Foundation to form Team Skull and now wants to use Type: Null to take down the mascot legendary for... some... evil purpose. I'm doubting that Lillie and her siblings (I assume they are) are the Ultra Beasts, but no doubt there's a connection in some way. Lillie has a role in the game and it seems that she might not be UB-01 because she clearly has a free will, while UB-01 is said to seemingly not have one. I know its not strong argument and it could be very untrue, but then you see Lillie has a role in the anime and seemingly a large one at that and we haven't had a point in the animes history where a character goes through a huge change and leaves. I know Brock left the show at one point, but that was an was a IRL reason. Lillie turning out to be UB-01 in the anime then would be odd. I'm not sure fully though. They all just happen to have that shade of hair, and green eyes. The green eyes is especially rare, even if they are related. The argument of UB-01 seemingly not having a will of it's own does raise some suspicion. Then again the exact wording is "Nobody KNOWS if it has a will of it's own". But correct me if I am wrong, but Lusamine is there when UB-01 comes out of the portal. Now when else have we seen UB-01? Nowhere else. What if, UB-02 has ways to make other Ultra Beasts follow her commands? Just a thought. Afterall this is some weird aliens we are talking about here. I think the Ultra Beasts are alternate-dimensional versions of the characters in Sun and Moon, hence the resemblance.